Friday, Saturday, and Sunday – but especially Saturday – are the big days at Barrett-Jackson in Scottsdale, Arizona. The past few years have seen this event be strictly a No Reserve auction with every car that crosses the block selling, but this year there were some heavy-hitters in the auction’s new “5000 Series” of classics that did in fact have a reserve. And not all of them were met – like the 1955 Flajole Forerunner we featured a few weeks ago: it was a no-sale. A few of the other cars we featured did sell – and for a boatload of money. The 1930 Isotta Fraschini Tipo 8A by Castagna sold for $1,100,000. The 1928 Daimler Double Six P.1.50 Limousine brought $1,155,000. The 1930 Duesenberg Model J Murphy Town Car was hammered sold for $1,045,000. Another “bargain” was the 1954 DeSoto Adventurer II which sold for $1,430,000. Keep in mind, all of this happened within about an hour’s time. 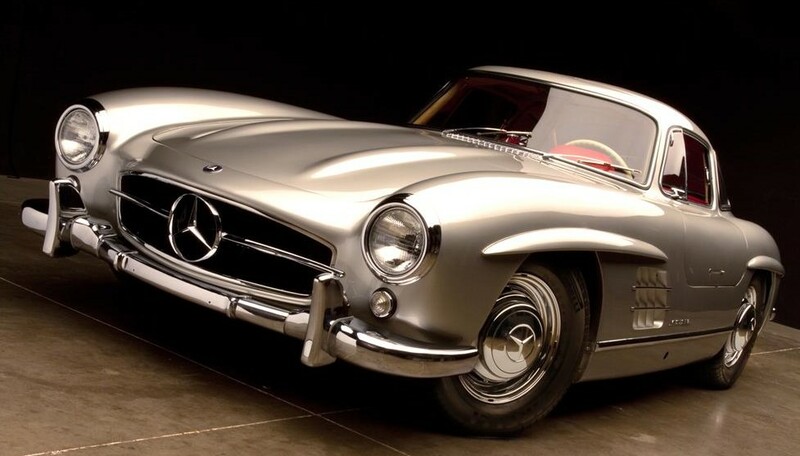 It came from the collection of collector Ron Pratte and sold for $2,750,000, which was just barely more than I was going to offer to pay for it. The other mega-sales included the 1933 Pierce-Arrow Silver Arrow. The live television broadcast of the auction showed an overhead shot of the Silver Arrow and the lines of that car are actually perfect. It is breathtaking. It sold for $2,200,000. And the top sale of the entire auction was the 1948 Tucker Torpedo (also from Ron Pratte’s collection) which was hammered away for an astounding $2,915,000 – about three times my estimate of $1 million. $2,200,000 brought this car home. It only had 4,149 original miles on it and was one of 146 Gullwings built that year. Other highlights from Saturday included a 2009 Devon GTX – one of just two produced. It’s a Dodge Viper-based supercar that went out of production as quickly as it entered it because the Viper was axed just after the GTX was announced. 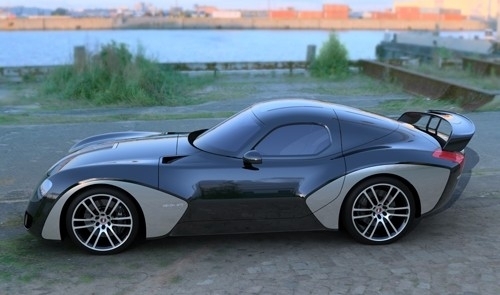 A 650 horsepower American supercar that was originally supposed to cost $500,000 sold for $220,000. Another car that has started to interest me a little more is this Chevrolet Corvette 2003 Commemorative Edition built by Advanced Automotive Technologies. It’s a standard 2002 Corvette with a custom built body. Coachbuilding isn’t quite as vogue as it used to be but I think over time these cars won’t depreciate wildly like some other “customs.” It sold for $66,000. Another one sold on Friday for $88,000. And of course ultra-rare muscle cars are the order of the day at Barrett-Jackson. 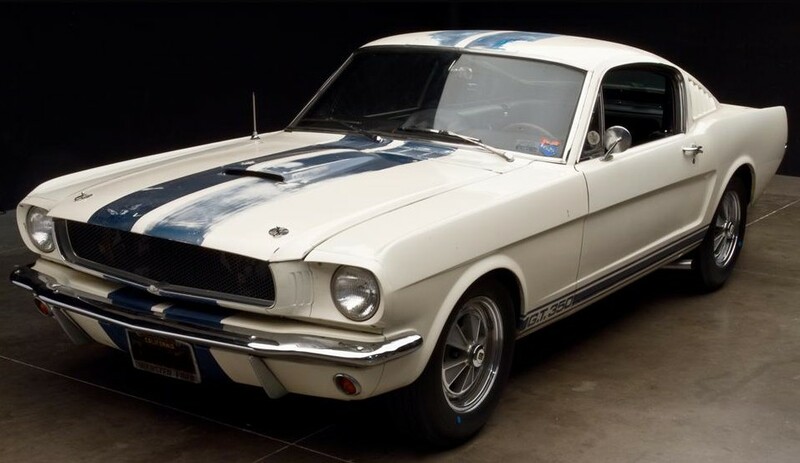 Among Saturdays highlights was this barn-find (yet mechanically “refreshed”) 1965 Shelby GT350. I hope whoever bought it doesn’t restore it – although they paid a pretty penny for it at $385,000. Another rare Ford was this 1969 Ford Talladega Prototype. This car was built by Ford for Ford. It’s the only red Ram Air Talladega built. Regular Talladegas aren’t something you see everyday, much less a factory prototype. $137,500 sale price. Oh, and do everyone a favor. If you’re going to sell your car at auction and you‘re responsible for the photography: get a quality camera. Friday also had its share of highlights including the Nash Bridges Cuda we featured. Last time it sold it was right at about $150,000. This time it sold for $88,000. Other interesting Friday cars included this 1970 Pontiac GTO Judge Ram Air III Convertible ($158,400). There were a pair of ultra-rare and very famous 1960s drag cars. 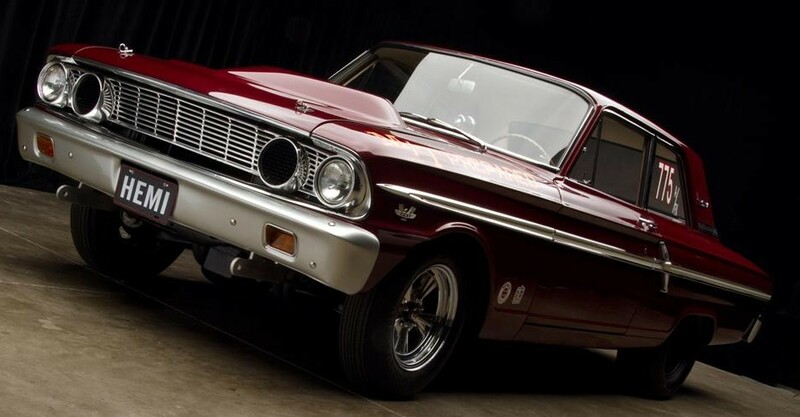 First, this 1964 Ford Thunderbolt sold for $242,000. And right after that crossed the block, this 1968 Plymouth Barracuda Super Stock rolled across. It’s an actual “Mr. Five & Fifty” drag car built by Hurst for Chrysler. It also sold for $242,000. 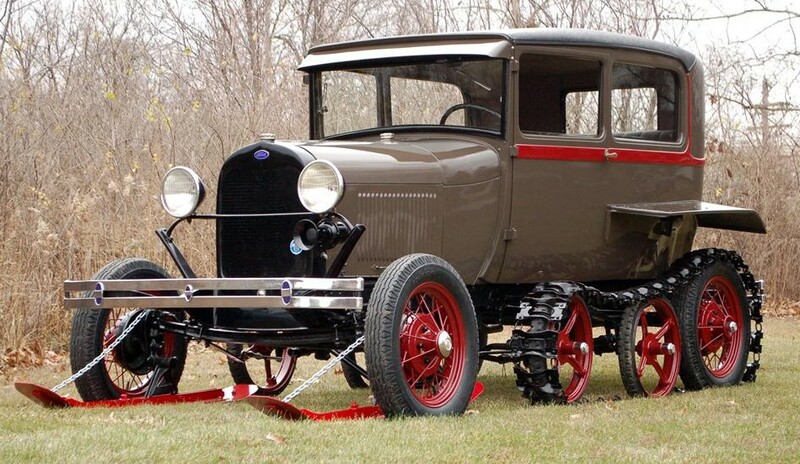 Something from the quirky side was this 1929 Ford Model A Snow Bird built by B.P. Arps Company of Wisconsin. This was something that was done back in 1929 and there are multiple of them out there. It could have been yours for $66,000. In 1987, Buick took their not-your-daddy’s-Regal Grand National and souped it up to 276 horsepower and 360 lb-ft torque and called it the GNX. They built 547 of them and recently that have become the most collectible American car of the 1980s. This time capsule example with only 1,200 miles on it sold for $88,000. For a 1980s Buick. The only thing truly odd to cross the block on Sunday was this 1971 Kelsen Sports Rider Electric. 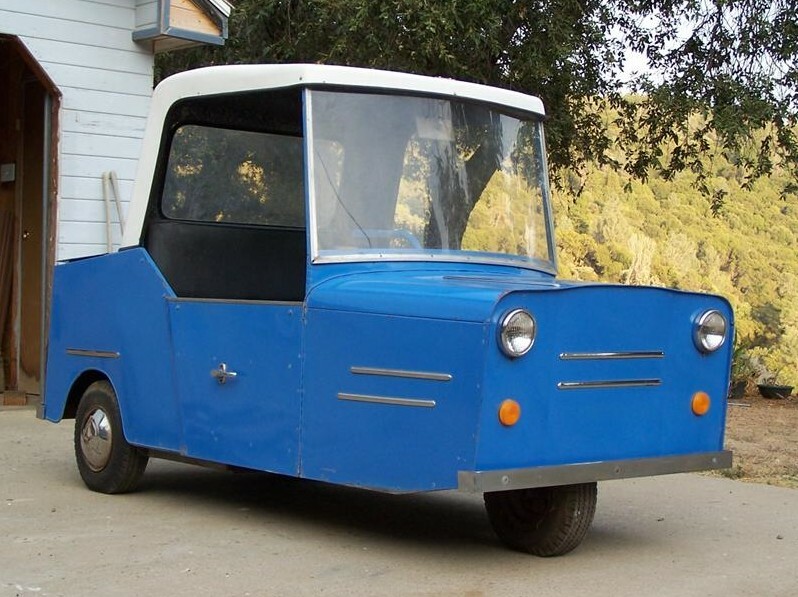 It was a street-legal microcar built in from 1963-1973 in California. There were a number of companies who built similar vehicles and I’m not sure I’d drive any of them on the street. A golf course, maybe. When new in 1971 it cost $1,295. It sold on Sunday for $1,540. It’s not really appreciation if you’ve had to sit on it for 40 years to make $250. I used to have a ’92 Century – maybe I should have held on to it and used it to start a retirement fund. There were also hundreds of other interesting cars. Check out full results at Barrett-Jackson’s website. If this car looks familiar to you, then I am glad to say we share similar taste in 1990s primetime television cop shows. This was one of five ‘Cudas prepared for the CBS series Nash Bridges starring Don Johnson. Of the five built, it was the one personally retained by Johnson after production wrapped in 2001. He sold the car at Barrett-Jackson in 2003, where it was purchased by the current owner. In the show, the car was supposed to be a 1971 Hemi ‘Cuda Convertible – of which only 11 were built. There was a time in the past five years where a Hemi ‘Cuda Convertible would cost you a cool $2 million. I’m not sure that price would stand today. But that’s another story. 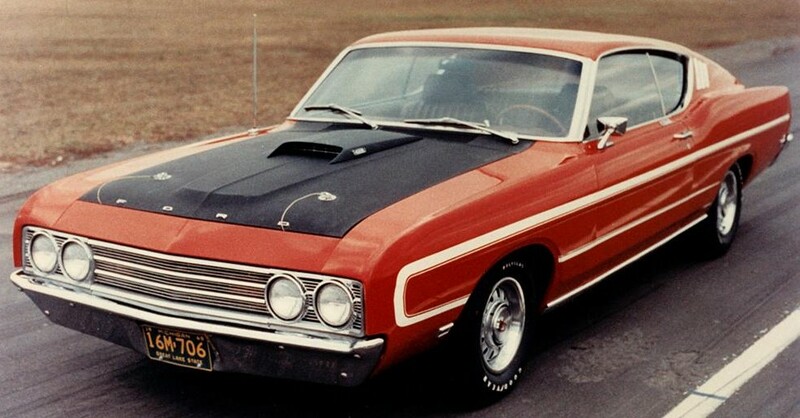 This car is actually equipped with a 340 V8 (5.6 liter) and it’s a 1970. It was one of 64 convertibles built for the Canadian market in 1970. It’s also an automatic – Don Johnson couldn’t be expected to drive, carry on a scripted conversation, take direction from a camera car, and shift, could he? In fact, Johnson did much of his own driving on the series, particularly when doing a dialogue scene and driving through San Francisco (and never hitting a red light!). Apparently, this took a lot of skill – keeping appropriate pace with the camera car and being able to be heard over wind and engine noise. Yes, I’ve watched DVD commentaries of Nash Bridges. I remember this car selling in 2003 for almost $150,000. Part of me just can’t imagine it bringing that much now. You could probably get a real Hemi coupe for close to that price. The muscle car bubble did burst, despite what certain places will tell you. This is not a $150,000 car. Don’t get me wrong, I want it – bad. 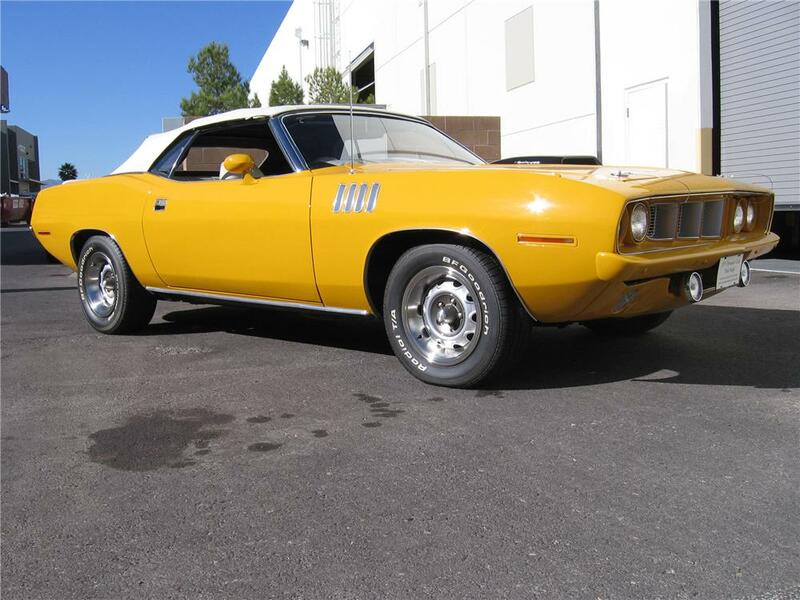 But I’m a gigantic fan of the show and Nash Bridges’ ‘Cuda is a car I’ve loved from first sight. You’d really have to love the show to pay more than double what this car is worth, were it any other 340 ‘Cuda Convertible. More info on the lot car be found here. More on the auction here.